The Composi-Tight® 3D Clear matrix bands have BlueView™ tinting that provides excellent contrast between the matrix and tooth structure improving visualization without compromising composite polymerization. The matrix bands come in three heights, 5.0mm, 5.9mm and 6.8mm, all of which are .0020” thin. 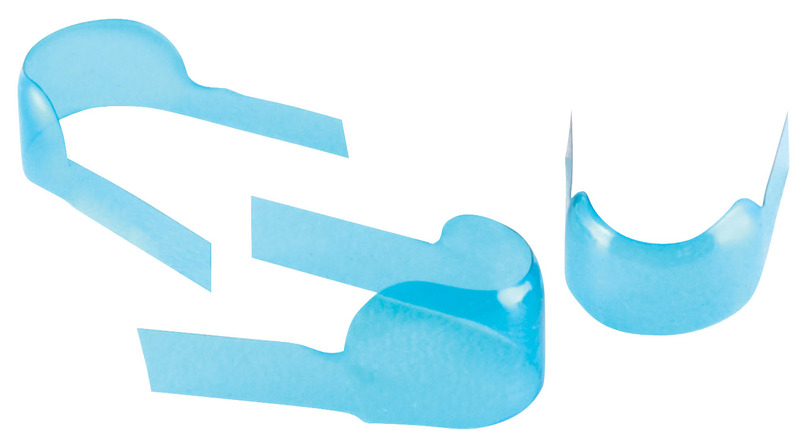 All three sizes have tabs on the gingival edge to facilitate easier placement and are contoured in three dimensions. Additionally, the curvature is enhanced at the marginal ridge to provide improved anatomy. Exceptionally smooth band produces a composite surface requiring minimal finishing/polishing. Polyester naturally resists deformation for easier placement. The occlusal edge is carefully rolled over to help you recreate a beautifully shaped marginal ridge with minimal effort. When contact is not completely broken during tooth preparation, placement tabs allow you to simply "floss" the band into place.